Hi, my name is Lars-Erik. This site is for all Dunelt motorcycle owners and to anyone interested. My interest for Dunelt Motorcycles started back in the middle 60´s, when I found an old picture of my fathers Dunelt-29 350cc. He owned it between 1932-1934. He bought it from his uncle, who rides the bike on the picture. And he had bought it new in 1929. Then in the middle of the 80´s I was lucky to buy a Dunelt - 30 500cc. But I needed identity for my Dunelt to be able to use it on the roads again. So in 1995 I started to look for registration numbers for Dunelt. I found registration number for my Dunelt with matching frame and engine number that my bike have. 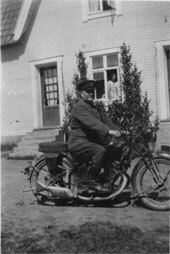 I also found the registration number for my fathers bike and could find out that "his" bike disappered in 1947. Then I started to make a register for every Dunelt I found and today I have almost 460 different "swedish" Dunelt in my register, and at least 10-15 percent is still alive. I am now owner of four Dunelts one -29 Majestic and three - 30 S.D´s. 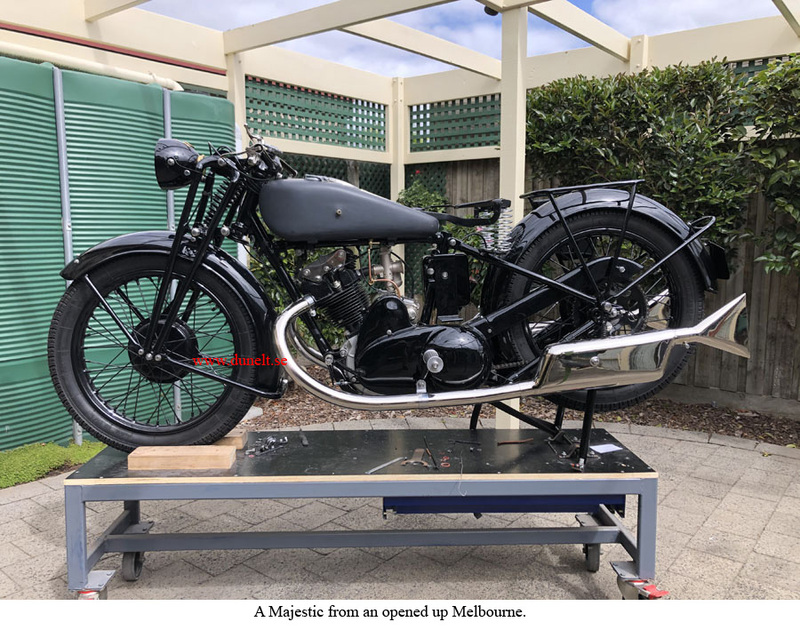 In Sweden the model K where very common but they did not live long as I have seen in my research, also the - 29 350cc and the - 30 500cc where very common, and they are even the most common survivors of the make. 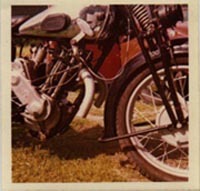 I´m interested to know more about Dunelt motorcycles. So if you have any information get in touch. For example are there any -35 year model even made or if there is some -34 Dunelt still left. Det går självklart bra att skriva på svenska, dansk eller norsk!